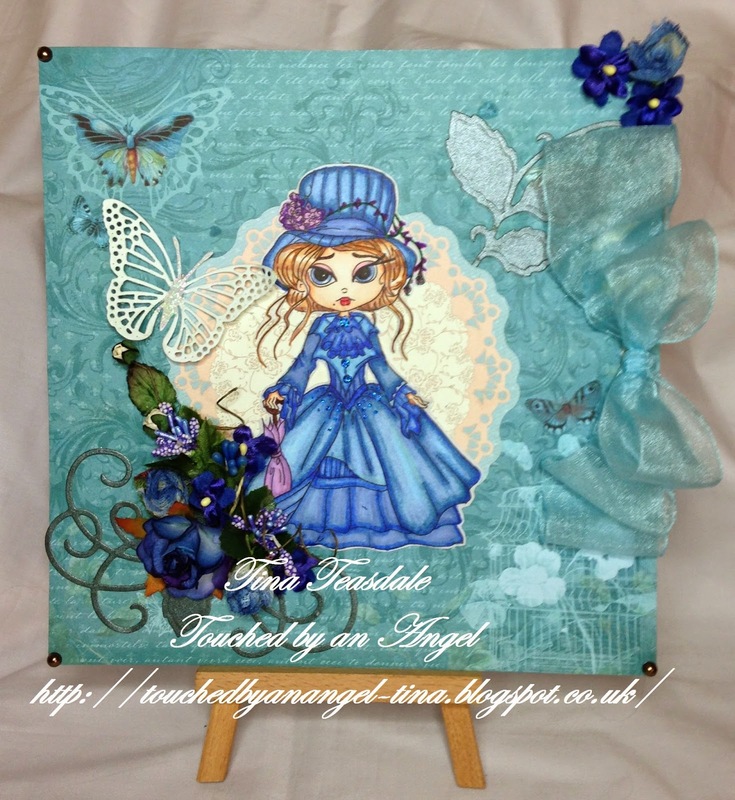 Today I would like to share with you a card I have created using the gorgeous Victorian Lizabeth image from Lacy Sunshine. Topper: Doily die cut from the Papermania Vintage Notes collection﻿ topped with the gorgeous Victorian Lizabeth image from Lacy Sunshine that I coloured with a selection of Promarkers and added a few little dots of glitz glitter glue on her dress. Embellishments: Bow created using a piece of powder blue organza, butterfly die cut from cheery Lyn, Die cut leaves and swirls using Spellbinders, self adhesive pearls and flowers put together using a selection from my stash. I have really enjoyed colouring this little beauty and have actually been a little braver with the colours I have used.